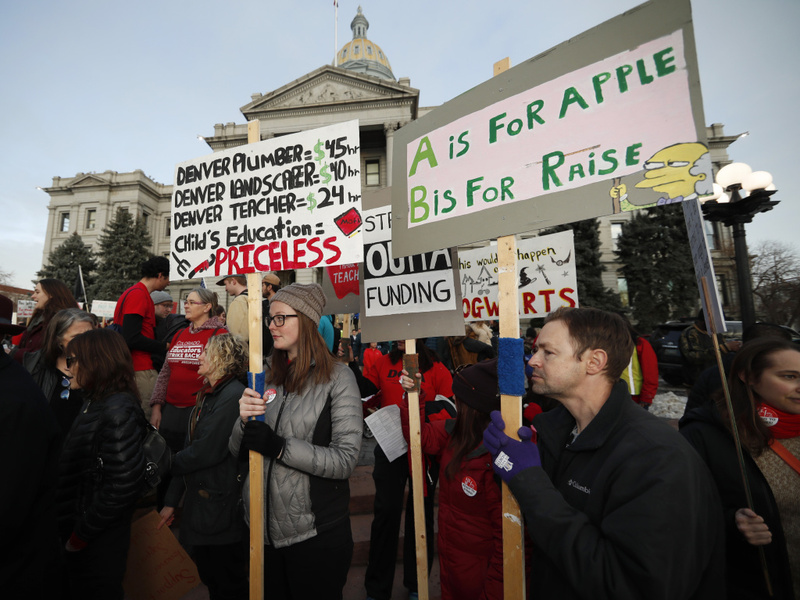 Teachers from the Denver Public Schools carry placards as they wait to march after a rally in support of a strike outside the State Capitol in Denver last month. Denver teachers plan to strike today. The fundamental disagreement concerns how base pay is calculated. Twenty years ago, the district first piloted the "Professional Compensation System for Teachers," known by most as ProComp. According to the Denver Post, the system paid teachers based on performance, with a series of bonuses that the district hoped would attract high quality educators. At the time, ProComp enjoyed support among school district officials and the teachers union. But teachers today say ProComp makes it hard to earn a fair and predictable salary, the Post reports. 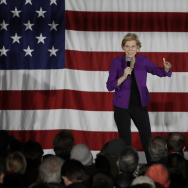 Both sides have offered proposals to simplify the system, but there is still disagreement over the use of bonuses. The district's proposal allocates more money toward base pay, but still offers up to $2,500 in incentives for teachers working in certain high-poverty schools, the Post reports. In a statement reported by the AP, the teachers union said the district's proposal lacks transparency and "pushes for failed incentives for some over meaningful base salary for all." But Superintendent Susana Cordova says the district's proposal "responds to what we heard from our teachers" and "significantly increases the base pay for all of our educators," the AP reports. A starting teacher salary in Denver currently begins at $43,255 a year, USA Today reports. The district proposal raises that to $45,500, but teachers want $45,800. The school district says its proposed base pay increase adds an additional $11 million in teacher compensation. In anticipation of a strike, the school district hired 300 new substitute teachers to bolster its roster of 1,200 subs, the Post reports. An additional 1,400 administrators are also ready to help out where needed at the schools. Every school in the district will remain open Monday, but pre-school classes will be canceled.